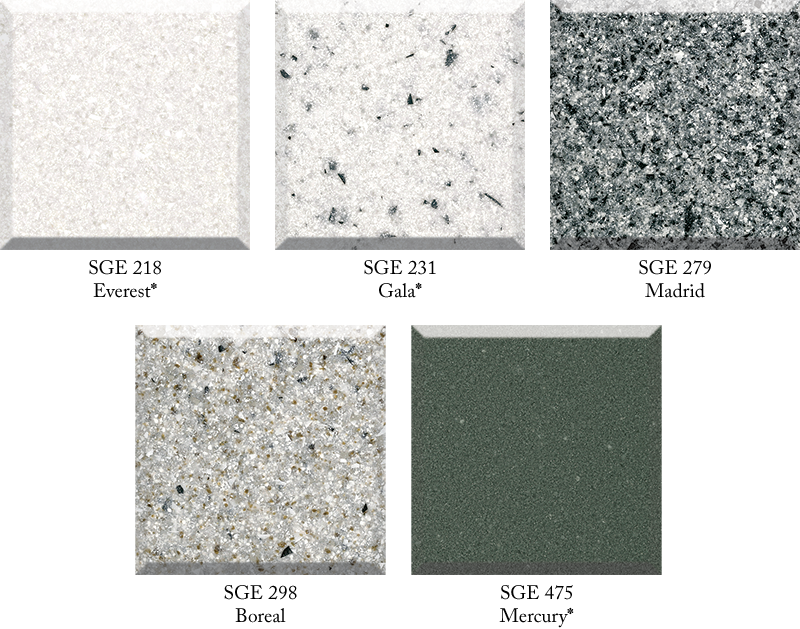 Introducing 5 NEW Spray Granite Extreme (SGE) colors! These SGE products offer current trending colors and are designed to be used as a spray coating in cast polymer applications. In stock, ready to ship. Available in a pre-blended mix. Test spray for yourself, filler samples now available. Ask about our “Quick Ship” program. Click HERE for full brochure with mixing/spraying suggestions. Find out if the New SGE colors are right for you.